Welcome to Saigon!!!! It has everything, including its own haunted house! In the spirit of the coming halloween, let’s dive in and take a closer look at 13 of the most haunted places Saigon has to offer. The school main gate with full view of the infamous clock tower. Be careful, while you’re looking up at it, something might be looking down at you. 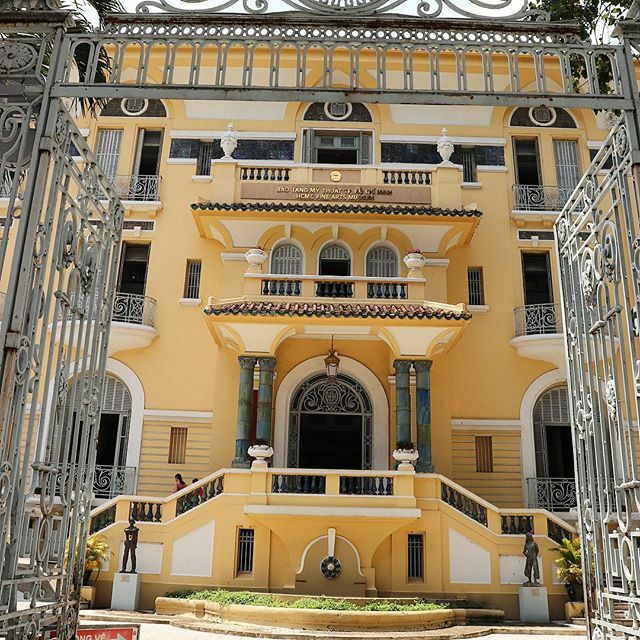 Often praised as one of HCMC’s most beautiful campuses, Minh Khai high school boast wonderful french colonial buildings that has been pretty well preserved. 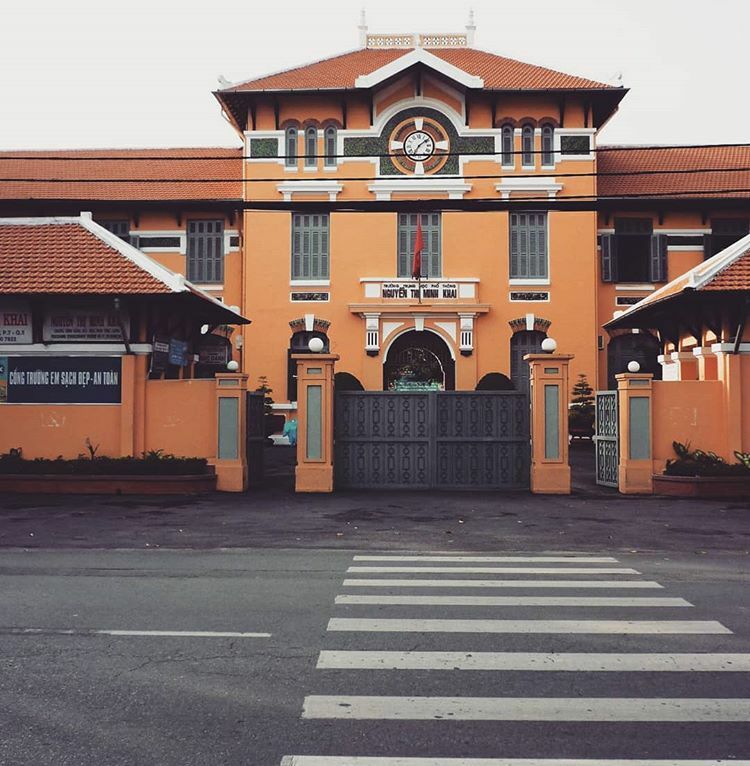 Built amidst the height of Saigon’s golden age in the last century, it used to be an all-girls school whose students all were required to wear a purple Ao Dai as uniform. Now a prestigious co-ed school, any student from Minh Khai can tell the story of the purple Ao Dai-wearing ghost up on the clock tower. Rumoured to be a place where a student took her own life, the fact that students are not allowed on very top floor of the tower only serves to fuel the suspicion and fear. Not for the faint-hearted but these places always have the terrifyingly seductive charm towards horror fans! Explore the most haunted places in Saigon with inspitrip.com now! Once consider the most beautiful structure in the whole city, it is a mystery in itself how this building can be worn down at such a scary rate. Known in the old days as the Building President, the million-dollar apartment building was one of the highest structure of Saigon in the 60s. 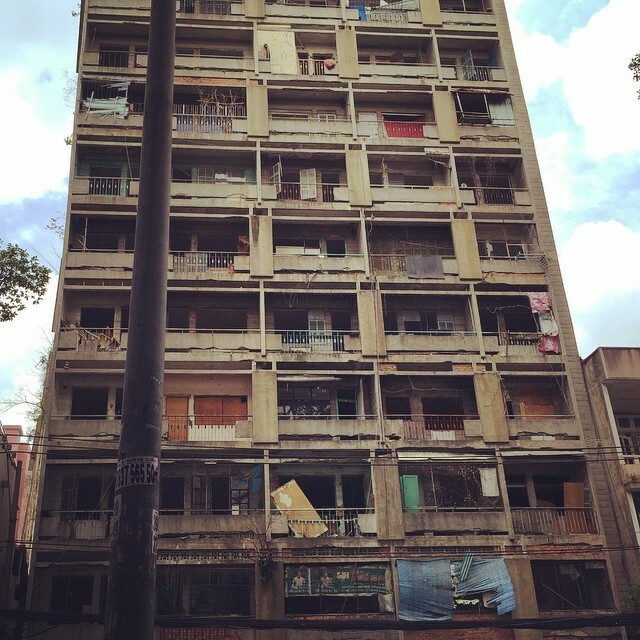 With 13 floors (which is the first red flag) and 530 rooms, it was once an esteemed and luxurious residence reserved for military generals and high commanding officers, but now has turned dilapidated and rancid with only a smattering of inhabitants left. If you’re (un)lucky enough, at night you can hear the officer’s role call like they were having military drill on the other side of your wall, or witness spectres of soldiers marching by your window. Residence also claim to see an American soldier walking in the corridor holding hands with a Vietnamese girl (a la the musical Miss Saigon). If you catch the old security guard in a good mood, you may be able to hear all about it and more. Explore more things to do in Saigon now! It was 2001 when a house on Ly Thai To, one of the most bustling streets of HCMC, was set on fire. It took the lives of a family of 7, shocking the whole community. Although police ruled the incident as accidental, the exact cause was never disclosed to the public. The owner of the house himself, along with his wife, survived the fire. However, the incident left them haunted and both have not returned to the house since. Neighbors claimed to have heard weird noises, ranging from broomstick sweeping on floors to furniture being thrown around. There’s also the usual claim of ghost looking out from window pane, specifically of a lady cradling a baby looking down onto passerbys. 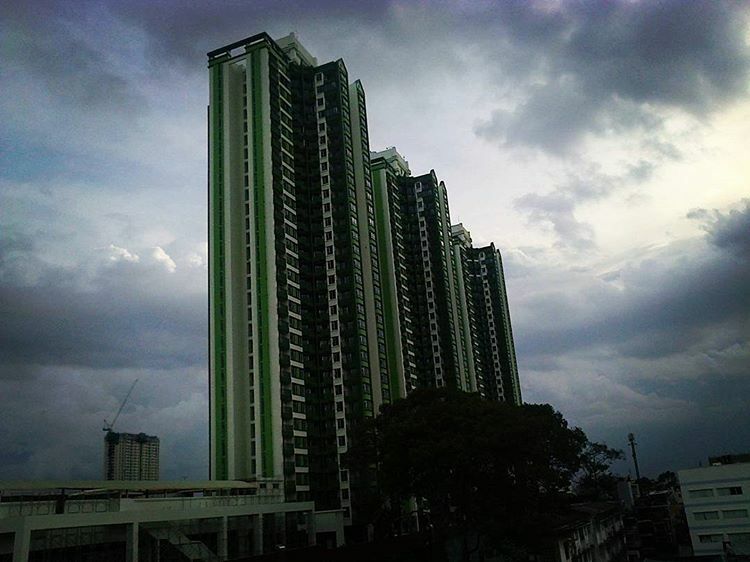 The three bright green towers of The Garden Mall, formerly light pink and known as Thuan Kieu Plaza, amidst the afternoon gloom. Taking up 2 whooping blocks in the heart of Saigon’s chinatown, Thuan Kieu Plaza was once one of the biggest apartment and shopping mall complexes. Now, after being abandoned for 20 years, the building has been renovated and renamed The Garden Mall, leaving countless urban legends and haunting myths. The most popular tale of Thuan Kieu Plaza’s downfall was based on a supposed disagreement between the investors and the construction workers. As a result, the workers placed curses amongst the main structures of the building. The plaza’s business did not take off, despite a huge amount of investment and a prime location. Residents reported countless cases of “Bóng Đè” or sleep paralysis. Taxi drivers recalled many stories of late night calls to pick up passengers from the plaza only to find no one waiting. Rumor of haunting chased away all business and habitants, leaving it practically deserted. However, as of 2017, when it reopened as Garden Mall, there has been no peculiar incident reported. 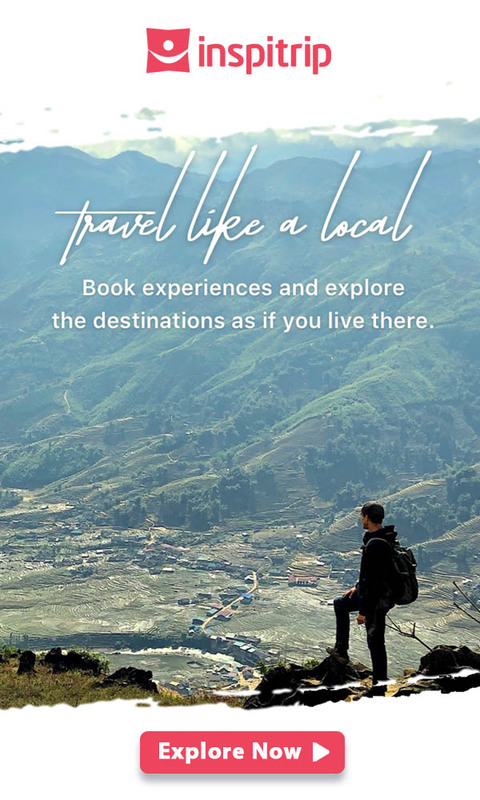 Tired of touristy places? Explore the off-the-beaten-path destinations in Saigon with Inspitrip now! At the edge of the Phu My Hung upscale residence in District 7, behind the picture perfect neighborhood, stands an abandoned house. Half finished, the House has all its doors and windows sealed with bricks, as if to keep people out, or as rumor has it, to keep something from getting out. As with all forsaken buildings, the reason behind its abandonment was never disclosed. Nevertheless, people living nearby recount the story of a worker who passed away mysteriously after staying the night in the building, putting a halt to the construction. The house remains barred to this day. The pretty lights on amusement rides take on a spooky quality due to the emptiness of the park at the night turns late. By day, Le Thi Rieng park is a crowded, bustling spot in HCMC. It offers a wide array of services and activities, attracting children and adults alike. As the sun sets, however, the park takes on a much more sinister air. Built on a old mass burial ground for soldiers during war time, it “comes alive” at night, in more sense than one. The street lamps, old park benches, and empty amusement rides all add to the creepy air as it gets dark. 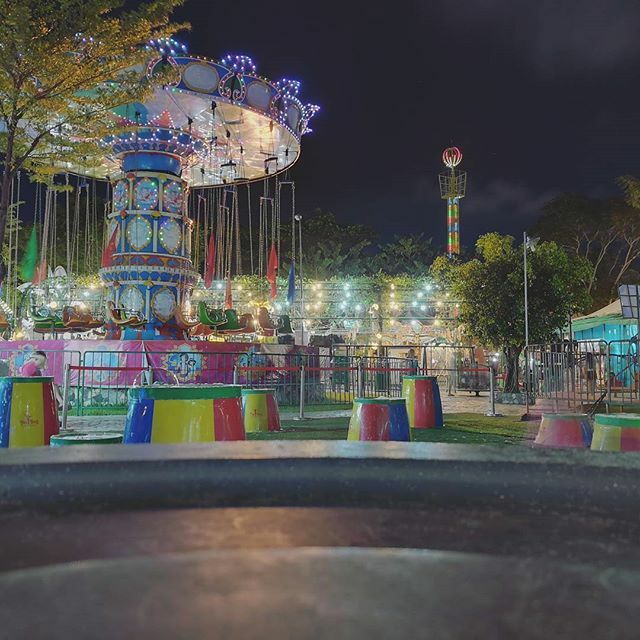 The frequent reports of ghost sightings, especially on the swing sets, have kept locals away from the park; but at the same time lured thrill-seekers to the spot, especially after midnight. 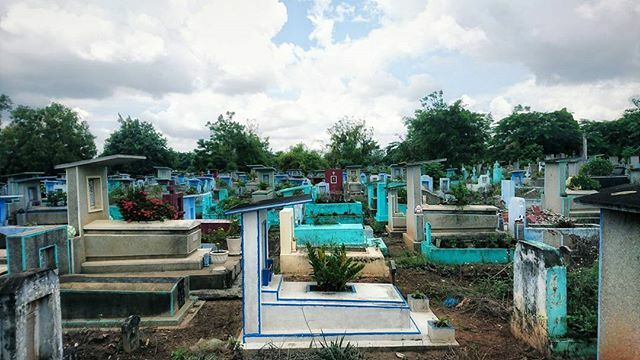 The cemetery have a distinctive blue color on many of its grave stone. Binh Hung Hoa is the biggest and most well-known cemetery in Ho Chi Minh City. The most famous ghost that supposedly haunts this place is a performer of “Cai Luong”, a style of Vietnamese traditional musical. On nights of a full moon, locals living nearby claim to have heard her sing a Cai Luong piece lamenting love lost. However, with the city’s new zoning plan, the pond where the unfortunate singer ended her life in was filled, and the mysterious night songs gone with it. Located near Ong Sap bridge, 12 Hu Cot is a shrine where the urns containing the ashes of nameless traffic accident victims are kept. Those who visit the shrine without at least lighting some incense are said to be cursed with bad luck. There has been multiple cases of visitors losing their belongings, tripping and falling, or even suffering from some type of illness right after visiting the shrine. Nevertheless, the shrine and the adjacent fields are still a favorite spot of thrill-seeking young locals. On a lonely mound in the middle of Ba Tang Canal lies a mysterious nameless temple. Amongst many nameless gods, it worships Mr. Hanh and Miss. Lan: brothers and sister who hung themselves in the temple. This is a famous spot to do a “Cầu Cơ”, a Vietnamese version of a Ouija board. The main visitors to this temples are lottery enthusiasts, looking for a way to connect with the dearly departed and get a hint at the winning numbers from the land beyond. The only way to get to and from the temple is by small boat, operated by a mysterious man who only accepts passengers from 11PM to 3AM. The 10 minutes boat ride from the shore near Binh Dong wharf to the temple are often in complete silence, often giving off the feeling of traveling to “the other side”. Exemplifies the typical haunted house, this 2-story building for rent has chased away multiple tenants throughout the years. The most common reason given was a “weird disturbance” in the house. The biggest incident, however, happened when a fabric company rented the house as a dorm for its workers. In a night, 4 of its 20 workers passed out, claiming to have seen a sinister shadow before losing consciousness. A police report, however, concludes the episode was due to the combination of overcrowding and lack of proper ventilation. Nonetheless, locals still avoid passing by the house if they can. It is currently unoccupied. A designated chilling spot for many despite the high accident rate. Hồ Đá can be found in the middle of the college town in Thu Duc district. 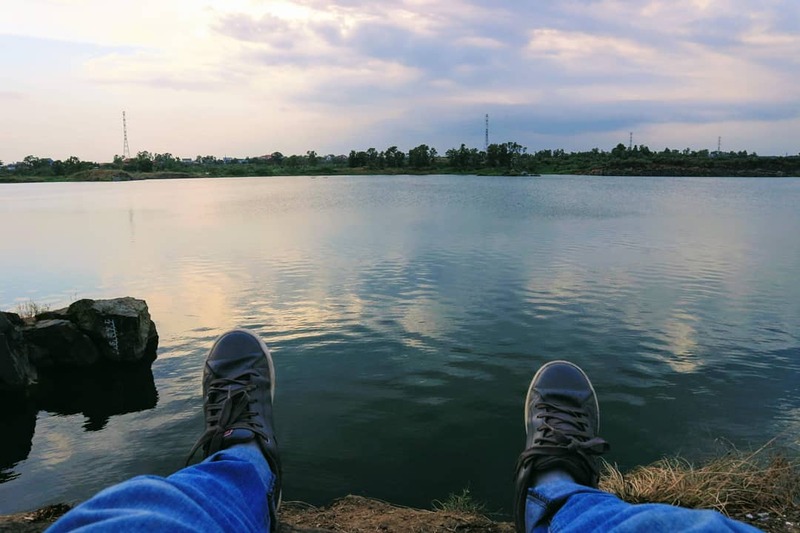 The 20-metre-deep pond is infamous for the staggering number of fatal accidents that occur there. Local officials have made attempts to restrict entry to the ponds surrounding, but to no avail. There have been countless warnings against the rocky shore, as well as an unseen undercurrent, but it has not been able to deter curious individuals, especially college students, from using it as a hangout spot. There exists a more haunting explanation for the high frequency at which dead bodies are found in the pond: a sinister water spirit living at the bottom that lures visitors near the edge of the water then drags them down. Whichever version is true, the Pond of Rock remains a popular check-in for students from surrounding college campuses. 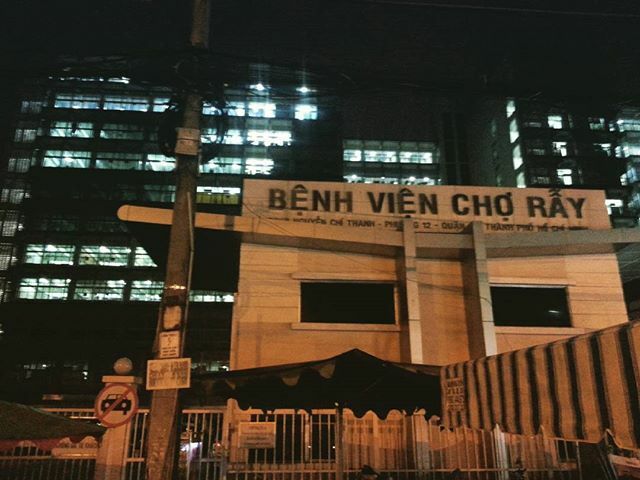 Outside of Cho Ray hospital at night time. Cho Ray is one of the oldest and most prestigious hospitals in Saigon. But not many locals know of Nha Vinh Biet, roughly translated as The Farewell Room. Despite the theatrics in the name, this small space is home to the unidentified bodies, or those that have not been claimed by surviving family members. Despite being fairly well-lit, the corridor inside still exudes a spooky and morbid chill. Janitors working for the hospital have told stories of whispering voices or quiet sobbing echoing through the corridor at night. The beautiful front of the museum belies a sinister and mysterious past. Probably the most famous haunted mansion in all of Saigon, the building currently known as Museum of Fine Arts of Ho Chi Minh city was first owned by a wealthy Chinese-Vietnamese Businessmen, the patriarch of the Hua family. Fathering many sons but only one daughter, Mr. Hua treasured her and had the mansion built as a gift for her. However, the mansion quickly turned into a luxury quarantine space as the daughter came down with tuberculosis, and was not allowed to leave the house. Rumor has it that before the disease took her, she ended her own life, being driven mad by loneliness. Visitors to the museum nowadays can still feel the gloomy air surrounding the mansion, with cases of sighting of ghost or spectre being reported every once in a while.